In conjunction with the Management Centre, an NGO organisation involved in helping civil society, members were sought from local areas within the Karpaz to help launch the association. Their mission was to create more awareness of the historical, environmental and also the cultural richness of the region. The awareness factor is not just focussed locally either and is equally aimed at an international level through lobbying and advocating of this truly diverse area. As an association they are also non profit making, certainly non-political and are determined to influence the powers that be that there is room for sustainable rural development which can benefit North Cyprus as a whole. Many holiday makers the world over are now looking for unique and culturally rich holiday experiences and Friends of Karpaz aim to provide for that, whilst also convincing local authorities that there is a market out there. The association isn’t just about eco-tourism in North Cyprus either, it also aims to help and provide for the local community. Sadly in these rural and more remote areas, people are leaving to find work in larger towns and cities due to shortages in local employment. Friends of Karpaz aims to help in different ways such as providing alternatives in crop farming for example or introducing activities which involve and help support women and the younger generations. Local community events are also another away of involving the community with initiatives such as tree planting which have proved to be very successful. 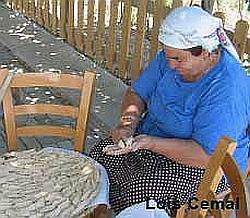 Festivals, such as the North Cyprus Büyükknouk Eco-Festival, and the promotion of all things associated with Turkish Cypriot culture such as folk dancing, crafts, cuisine and local skills are also something which the association is keen to promote which would also benefit the local community. The ultimate future aim is to open a Karpaz Cultural centre where anyone from locals to holidaymakers can visit to find out more about the local flora and fauna, future events being held and much more. Together with fund raising and donations from organisations such as the UNDP (United Nations Development Projects), which has afforded them enough money to open an office in Pamuklu village. Again other aims are to open more traditional style pensions, small bed and breakfasts offering more traditional accommodation providing menus with locally grown produce that will help to promote local culture and to further protect the environment from pollution created by the larger hotel complexes. 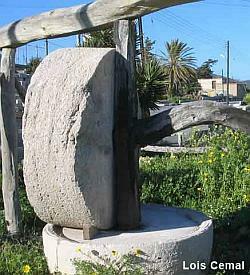 There are many more groups and charities in North Cyprus, all aiming in their own way to protect the beauty and uniqueness of this wonderful place on earth, and you can read about most of them by clicking the link above! 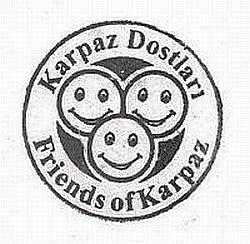 I would like to know what Friends of Karpaz are doing to stop the Silk Route Festival at Golden beach 27 of September 2013 ? This Event with 50 000-80 000 people attending will destroy the ecological environment , the flora, the wild donkey community will be severely distressed by noise pollution. 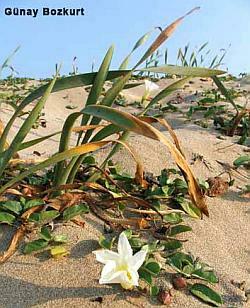 Plants will be crushed and noise will travel far out in the sea distressing sea turtles & other creatures. I was fooled to believe that this was a protected area by EU !!!!!!! I’m shocked to see the announcement of the Music festival in this untouched beautiful Paradise one of last in Cyprus.50-80 000 people are sleeping in tents ???? Where ????? 4 wooden platforms will be built to save what ????? when hoards of people are walking all over the place polluting it completely. This has to be STOPPED !!!!!! !